With a new EcoBoost® engine, refreshed exterior design and enhanced interior appointments, the new Lincoln Navigator offers a compelling combination of power and refinement. 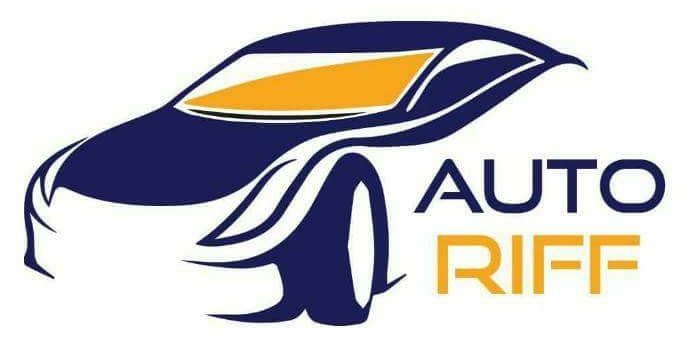 Outstanding passenger room, towing capability, ride and handling, and fuel economy are attainable for thousands of dollars less than competitors. The 2015 Lincoln Navigator goes on sale this year with a manufacturer’s suggested retail price starting at $62,475, including destination and delivery charges. 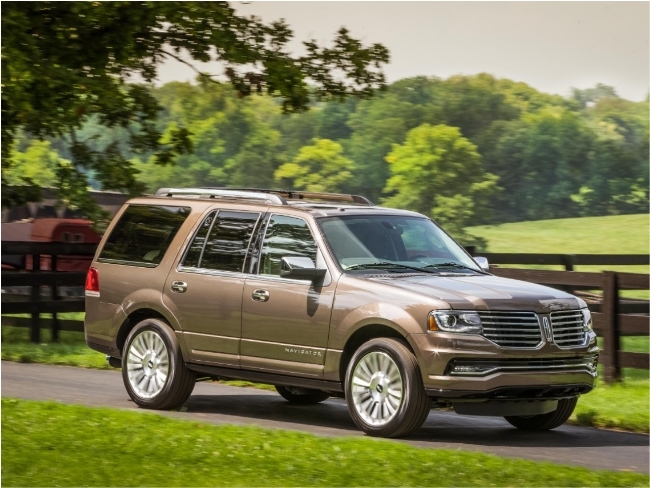 “The 2015 Lincoln Navigator provides many upgrades over the outgoing model, offering customers – whether loyal Navigator owners or drivers new to the brand – new and compelling reasons to consider driving a Navigator,” said Matt VanDyke, director, global Lincoln told TechWinter. Exterior design changes are accentuated by the execution of Lincoln’s split-wing grille. The more refined appearance complements enhanced power and hauling capabilities that Navigator customers demand. Enhancements to the interior include luxurious leather and additional customer-focused technologies such as SYNC® with MyLincoln Touch™. The sleek front end includes a newly designed hood, and the back end features a power liftgate. Navigator wears jewel-like daytime running lights, as well as high-intensity discharge adaptive headlamps with LED accents. A total of 222 LEDs illuminate the exterior and give Navigator a distinct personality. Navigator comes standard with 20-inch ultra-bright machined aluminum wheels while Reserve Package vehicles are equipped with 22-inch bright machined aluminum wheels. The Reserve Package offers power running boards in Tuxedo Black or bright stainless steel. The 2015 Navigator continues to be available in two wheelbase lengths – standard (119.0 inches) and extended (131.0 inches) versions. Under the hood of the new Lincoln Navigator is a 3.5-liter EcoBoost engine that delivers outstanding power on demand while also providing best-in-class fuel economy for the standard-wheelbase 4×2 model. The twin-turbocharged, direct-injected engine is rated at 380 horsepower at 5,250 rpm and 460 lb.-ft. of torque at 2,750 rpm by the Society of Automotive Engineers. The EcoBoost formula of turbocharging and direct fuel injection creates a smoother torque curve than larger-displacement V8 engines. A 4.10:1 rear-axle is standard on Navigator L models (available on Navigator) and helps multiply the torque for maximum acceleration. This wealth of low-end torque makes towing even easier. Power and performance are delivered in a luxuriously quiet environment. Compared with the outgoing model, the new Navigator achieves improved interior quietness and scores a higher articulation index rating – a measure of how easy it is to hear a conversation – courtesy of nearly two dozen vehicle upgrades. Bumper to bumper, roof to floor, the 2015 Navigator was built with a comfortable passenger experience in mind. Acoustic laminated glass called SoundScreen®, enhanced carpet, headliner and insulated door and floor panels combine to create a quieter interior. When properly equipped, the 2015 Navigator also delivers best-in-class towing of 9,000 pounds with maximum payload of 1,570 pounds. Navigator’s six-speed automatic transmission includes Lincoln SelectShift®, which allows the driver to manually control gears if desired. Navigator is available in rear-wheel-drive and four-wheel-drive configurations. An available Control Trac four-wheel-drive system enhances traction on slippery surfaces, helps improve handling on dry roads and enables off-road capability. The standard-wheelbase 4×2 Navigator gets an EPA-estimated, best-in-class fuel economy rating of 16 mpg city, 22 mpg highway and 18 mpg combined. Standard-wheelbase 4×4 Navigator gets EPA-estimated 15 mpg city, 20 mpg highway and 17 mpg combined, while the extended-wheelbase 4×2 model returns EPA-estimated 15 mpg city, 20 mpg highway and 17 mpg combined and the 4×4 configuration gets an EPA-estimated 15 mpg city, 19 mpg highway and 16 mpg combined. Helping make the 2015 model the best-handling Navigator ever is the addition of standard electric power-assisted steering. The system allows for more consistent and precise control of the vehicle through a range of speeds, while simultaneously making it easier to maneuver at low speeds and to park. The Lincoln Drive Control option offers continuously controlled damping, a technology applied to the suspension that monitors multiple vehicle sensors and road conditions every two milliseconds and adjusts suspension needs accordingly. Continuously controlled damping provides a smoother ride – the best-ever for Navigator – and allows the driver to customize the vehicle ride by selecting one of three control modes: normal, sport and comfort. “With the addition of EPAS and CCD to Navigator’s class-leading independent rear suspension, along with EcoBoost power and a strong brake system, the Navigator is surprisingly nimble for such a large vehicle,” said David Cantrell, assistant chief program engineer. Navigators equipped with four-wheel drive offer driver-friendly Hill Descent Control™, along with standard hill start assist. With hill start assist, a vehicle parked on a slope with a grade of five degrees or more remains stationary for up to two seconds after the driver releases the brake pedal, eliminating forward or backward roll before acceleration. With Hill Descent Control, the driver sets a desired speed and the system applies brake pressure as needed to descend steep grades at a controlled speed. This feature is especially helpful when towing. Also standard on Select package models is Nivomat®, a load-leveling system that raises the rear end of a loaded Navigator to optimum ride height for improved handling. The mechanical leveling system helps reduce uneven wear on the tires and helps maintain better vehicle aerodynamics for improved fuel efficiency. With the new Navigator, power and performance are delivered while maintaining a true luxury environment. The new Navigator scores high on interior quietness, allowing passengers to more comfortably enjoy conversation. Navigator comes standard with the new Lincoln steering wheel. The Wollsdorf leather-wrapped, wood-trimmed wheel features a thick grip and soft touch for a dynamic driving experience. Designed to seat up to eight, Navigator offers second-row options that include two captain’s chairs with or without a center console, or a fold-flat bench. Due in part to Navigator’s patented independent rear suspension, true fold-flat, PowerFold® third-row seats enable standard-wheelbase and extended-wheelbase versions to deliver segment-leading cargo volume behind the third row. Extended-length models provide 128.2 cubic feet of cargo space behind the first row, 86.3 cubic feet behind the second row and 42.6 cubic feet behind the third row. Standard-wheelbase models have 103.3 cubic feet of cargo space behind the first row, 54.4 cubic feet behind the second row and 18.1 cubic feet behind the third row. Illuminated welcome mats under the front doors greet Navigator driver and passenger when the unlock button on the key fob is pressed. A passive entry system allows owners to enter without using a key. The system senses when the key fob is in range of the door and allows for keyless access via a door-mounted button. Inside, push-button start allows for keyless engine ignition. SYNC with MyLincoln Touch is standard is standard equipment. The driver connect system allows drivers to use voice-activated or touch screen controls to make phone calls, play music, manage the navigation system or set cabin temperature. The system includes a 4.2-inch LCD screen in the instrument cluster, an 8-inch touch screen in the center stack and traditional knob controls for easy operation. A standard Blind Spot Information System signals when another vehicle is detected in an adjacent lane behind either rear wheel. For 2015, Navigator also introduces a standard rearview camera, which displays a color image on the 8-inch touch screen to give the driver a better view when driving in reverse. The 2015 Lincoln Navigator will be produced at Kentucky Truck Plant in Louisville, Kentucky. It is due to arrive in showrooms later this year.